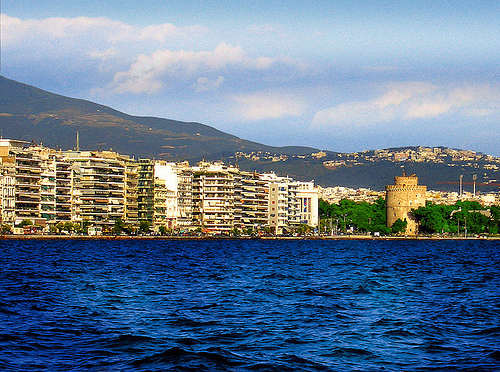 A good sale to Thessaloniki. Length of stay “0-7”. The maximum range is 7 days, so enter ranges like so: 0-7, 5-12, 7-14, etc. IAH – MUC (Munich) – SKG (Thessaloniki) – MUC – IAH. The routing codes we use ensure that you will earn 100% mileage. Any segments operated by Lufthansa will result in 0% mileage. 12,388 miles or 6.0 cents per mile. 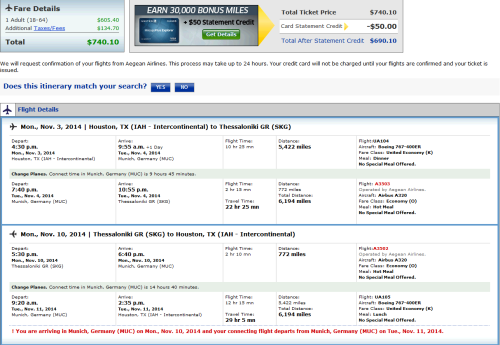 Go to hipmunk.com using dates found on ITA Software Matrix Airfare Search.